Arnica salve in a convenient 0.5 oz. travel stick. Made with organic ingredients! Helps bumps and bruises and other minor wounds. When you stub your toe or drop something on your foot, most people will yell “Owww!” and hope it stops hurting soon. But if they have arnica salve on hand, well…game-changer! Arnica is an herb that helps with minor bruising and bumps. That means stubbed toes, bruised feet, sore muscles, and more. Little one pinches his finger in the door? Arnica to the rescue! It helps to reduce pain, minor swelling, and stop bruising. Wounds get better faster. It’s kind of perfect, because life will keep on happening. Muscles will get sore, toes will get stubbed, and little ones will continue to be (a little too) adventurous at times. When you’ve got this handy, you’re ready to reduce pain and swelling and feel better, fast. Of course, there are lots of options when it comes to arnica. Ours comes in a convenient stick, so it’s easy and non-messy to apply. We also use only pure, clean ingredients — no preservatives, no fillers. Nothing but what’s truly necessary. That way, you know your family can only benefit! Comes in a 0.5 oz. tube for easy travel. Organic arnica flowers, organic extra-virgin olive oil, and candelilla wax. Rub a small amount on the sore area. Repeat as needed. Shelf Life: 1 year. Arnica is not edible. Please do not use on open wounds or near the mouth. Safe for all ages. Topical use only. Love this! Convenient, kid-friendly, effective. So, I’ve loved everything I’ve purchased from Earthley, but this probably surprised me the most. A little salved stick? I deal with chronic pain in my feet related to autoimmune disease. Typically the pain is pretty significant and I have just become used to it, but, sometimes it’s so bad it’s hard to walk. I put the salve on across the tops of my feet and after about 20 minutes I realized the pain had dulled significantly. I stuck my feet in my husbands lap and wiggled them and said “BABE, they don’t hurt as bad!”… I mean, I know that probably sounds silly, but that’s huge for me! Thrilled is probably an understatement! My 12 year old has all kinds of bumps and bruises. I put this on those spots before bed and he’s forgotten all about it the next day. Terrific product. Had a sore shoulder from too much heavy lifting and this did the trick. I love the convenience of the stick. These sticks are among my favorites from Earthley! The size is convenient to throw in my purse and they work!!!!! Love this one for bumps and bruises! I love arnica for bruises, but the gel is always messy. This stick is great and so easy to apply! This is a super easy, kid friendly tool to have on hand. I don’t like it as well as the one from our local health store as that one contains a more powerful blend of trauma related homeopathic salves, however, with little people I can never have too much arnica handy. Easy application too. Very pleased with this salve! I’d been waking up with serious stiffness in my middle back from bedsharing and nursing my kiddo to sleep and I was having trouble applying my usual arnica gel without a big mess. This salve is perfect for those hard to reach places and goes (and stays) on with no fuss! If I start to feel stiffness setting in I rub some in, fall back to sleep (shout out to the magnesium lotion, lol) and wake up fresh and rested as can be! Love it! I have at least 3 of these so I have one with me at all times (home, diaper bag, & purse). It seriously a must have for everyone! I am so glad I had this two weeks ago. I was under my mom’s ceiling fan, about to clean it, when it just fell from the ceiling and smashed into my eye/forehead. Guaranteed to be an ugly bruise. I saw stars. I began applying this arnica salve and placed a bag of peas on it. I waited and waited for the brusing and swelling, but guess what?! I never got ANY! It was quite miraculous. This is a must have in our home. Having a little one there is no doubt bumps, bruises and falls are going to happen. But when they do, I love knowing I have this to help relive my little ones pain safely while also reducing the inflammation and bruising. This has been the perfect addition to our natural first aid kit! 4 little kids = lots of bumps and bruises, but they don’t seem to be as bad/long lasting since we’ve gotten this salve stick, which makes this momma very happy! Great for little and big bumps! I dislocated a bone in my hand and applied this ever couple of hours. The swelling went down quickly and there was minimal bruising. It really helped with the pain too! My favorite for the diaper bag! Baby bumped head? Just rub some of this on it! It eases my heart knowing I gave him something to help. We have only used this a few times, but it seems to do pretty well. My husband has used it and it seemed to help him. With these small tubes, they should include what it is used for as it is easy to get all the little tubes mixed up that they sell for first aid purposes. I like this Salve stick. It smells good, and really soothes bumps and bruises quickly! Love it for those accident prone kid injuries. A bump on the head before bed is completely gone by morning. You know when you have an intense itch and you scratch it raw and red? Well this happened to me and of course it was sore and raw and painful. So I rubbed the arnica salve and it soothed it so nicely. I applied as needed throughout the day and I could see healing happening with it starting to scab over. I just received this a few days ago, I had purchased it for my mother-in-law who struggles with muscle pain related to age. She has used the stick for just 3 days and is finding great relief from it, so much that she even slept better last night! Will definitely be ordering again. I use this instead of antibiotic cream. Works great. No more neosporin. I love the easily usable tube and the fact that it’s not a pellet or a gel. Recommend! My son is an adventurous curious boy I bought this for him when he was just learning to walk because he received bruises daily. I truly hated seeing bruises on my beautiful son’s face I received this arnica salve about 6 months ago and it has been an absolute miracle every time he falls I immediately put it on the point of impact and the very next day it’s as though he never hit his head! No bruise at all truly incredible!! I’m so happy to have found a company that clearly knows what they’re doing. I will definitely be buying from them in the future!! We keep Arnica on hand in multiple places. I love this arnica because it is in a mess free tube and it isn’t made with petroleum products like most of the Arnica gels you buy at healthfood stores. I had pains in my forearm from working all day. My wife suggested putting this on my arm the pain was gone with in 5 minutes and stayed gone. I love that it was mess free and worked!! This product is the ONLY thing that heals my son’s diaper rash, when he gets it. I have tried so many different thing, and homemade balms and treatments. It’s a staple in our home. Being a mom to 4 boys, we are constantly using this little stick! Bumps, bruises… it has helped so much. My boys always ask for it when they hurt themselves. I was so surprised by this! 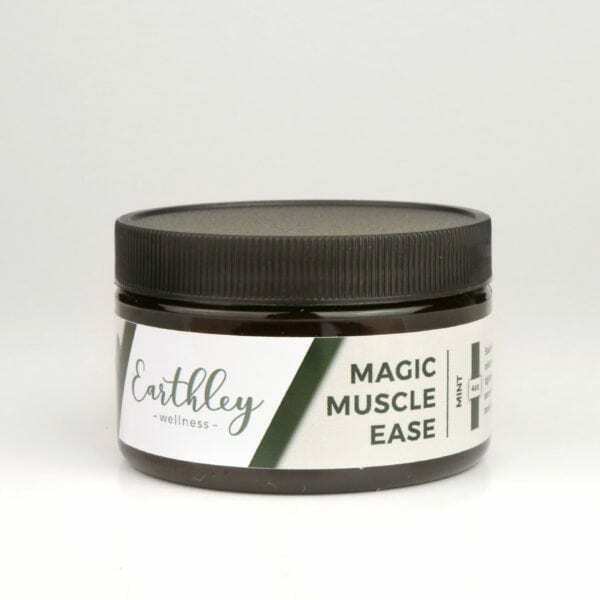 I just didn’t know if a salve could really help bruises, bumps, and sore muscles! But it does! I use it for bumps on my kiddos and sore muscles after gym sessions! We love this for bumps and bruises! Love that it is toddler friendly! THIS. This Arnica Salve is AMAZING. My son fell into one of his toys and smashed the side of his face and eye into a very rigid plastic part. His eye instantly started to swell and purple and I knew it was going to be a black eye. Because I knew arnica helped with pain and brusing, I went ahead and applied the salve around his eye and cheek, and repeated whenever I noticed it had all been absorbed. Not only did the swelling go down within minutes, but the purple faded to red by the end of the night. He woke up the next morning with a very slightly puffy, barely red area just above his eye. NO BLACK EYE. It was insane!!! I thought for sure he would be attending music class with a horrible bruise but you ended up not being able to tell at all! A few days later you could see a little bit of the old yellow bruise come to the surface around his eye, but I just applied some more arnica and the next day it was gone. Since then, I swear by this stuff!!! I use this on my sore back from cosleeping and it really helps! I use it almost every night and it provides some relief and much more natural than something like Icy Hot. Also doesn’t have that stinging feeling other products have. My accident prone 3 year old bumped her cheek bone under her right eye one morning. I didn’t see anything at first so I forgot to apply the arnica salve. That evening, she banged her forehead on a hand rail and immediately started getting a bump, so I applied the arnica right away, and reapplied it a few more times before bed. The next day she had no bump and the faintest trace of a bruise on her forehead. However, she had a black bruise under her eye where I forgot to apply the arnica! Now, I’m much better at remembering to apply after every bump and bang! Also my friend applied some to her sore arms after a long international flight, and quickly felt relief. I ended up gifting her one since I had extra on hand. I highly recommend. This is a must have for my first aid kit! We apply it to bumps and bruises. It comes in a giant chapstick tube making it easy to apply My son once bumped his head so I used a q-tip to apply it in his hair. It’s not an instant pain reliever but does help take the edge off. Great stuff! Excellent for bumps and bruises. Arnica is great on hand if you have little kids. They are always getting bruises! This helps the pain and coloring go away quicker. It’s perfect that it is in a stick! So easy to apply!